New Zealand have snapped up the control after the third Test in Hamilton. They now have 321 after the third day against their opponent’s 314. The visitorswere really affected by the awesome partnership of Kane Williamson and JeetRaval. The pair posted a record of 102 runs in the first Test at Dunedin but they posted a better result of 190 runs on the third day to take control of the series. The Black Caps improved on their Wellington performance, going the route of low risk batting and maximum impact – something they would typically do at home. This make their South African opponents flat in the field. South Africa were not all that bad as their lines were accurate, and they bounced the ball on the block strips for sake of its advantages. 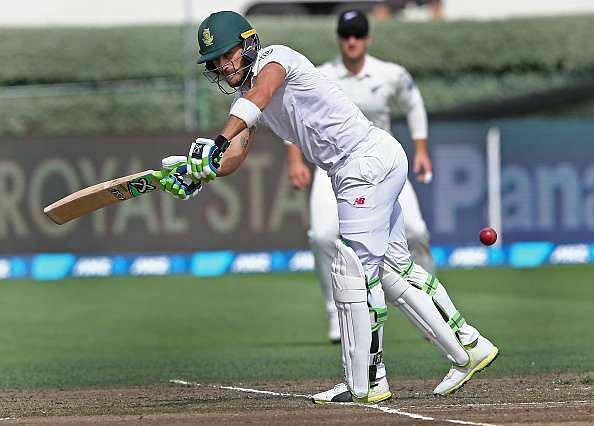 Their skipper Faf du Plessis and the African bowlers tried their best but they could not penetrate the resolute New Zealand side. Williamson equalled Martin Crowe’s record after he reached his 17th test century. This makes him the sixth Kiwi to reach 5000 Test runs in their history. He is now in contention to move up in the best batsmen list. John Wright is the one directly above him with 5334. Then there is Crowe’s 5444, then Ross Taylor at 6030, Brendon McCullum at 6453 and Stephen Fleming at 7172 runs. Williamson is the third youngest test player at 26 years and 231 days, having Sachin Tendulkar and Alastair Cook ahead of him, to reach 110 innings. Raval was also on fine form, continuing in his impressive debut summer. He was strong off his legs, doing controlled guides through the slip cordon. He had just 27 runs in front of the wicket despite being tempted by the African lines. He combined with Tom Latham, especially on the 83 where they mustered 50 against the African side in 38 attempts. The game started at noon after the umpires inspected it. It rained overnight but the staff worked thereafter to get the pitch in order.